I am entering the next journey in my life and I must say, I am terrifyingly excited! That may seem odd, and yet, I believe it perfectly describes what is going on in my emotional and physical being. You see, I have just retired from the corporate world – the world that has been my anchor of about 43 years. Wow! When I say it like that, the terrifying gets really big! So, my ‘anchor’. Exactly what is that? Webster describes anchor as follows: a heavy device that is attached to a boat or ship by a rope or chain and that is thrown into the water to hold the boat or ship in place; a person or thing that provides strength and support. Hmmm…let me take another look at the word anchor and what it has meant to me for the past four decades! A rope or chain – sometimes, did I experience being held down by a rope or chain? Truthfully, yes. At times, I felt as if I were ‘thrown overboard’ – weighted down and left to sink or swim. And, at times, I was held in place by that anchor and it was a very safe and secure feeling! I was aboard a very strong ship during several storms. That anchor held fast and I not only survived, I thrived! It taught me to be strong, it showed me what support really looks like, it helped me to slow down at times and become aware of my sea legs. I learned how to ride out some very challenging and difficult years; how to accept and provide support. Honestly, the past two weeks, my experience has been that of calm reflection. It has been a refreshing and relaxing time to let go. It has also been a realization that much of the ‘anchoring’ I did to (and for) myself! 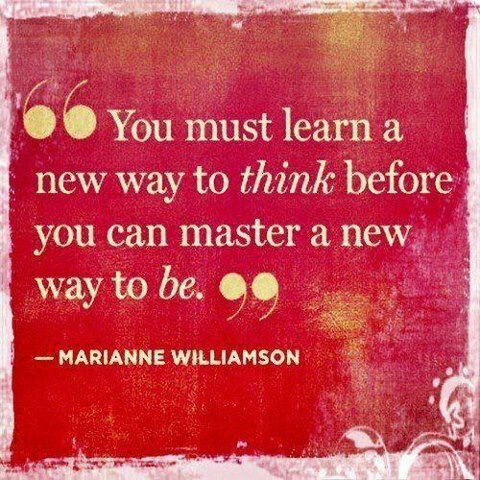 A new way to think – interesting! Think about the benefits of the corporate world and the lessons I take with me. Think about the adventure of riding those waves and how I learned to adapt to the highs and lows. Think about the courage I showed when challenging the status quo. Think about the support and encouragement I received when taking risks. A new way to be – yes – I am grateful for the anchor; for being thrown overboard; for learning to swim; for the incredible support an organization of several hundred – or thousand – can give. I can be ‘retired’ from the corporate world. I can be grateful to the people and learning and experiences that saw me through those many years. I will be paying it forward as I now shift the focus of my attention to new adventures in supporting others to see what lies ahead. See the ‘anchor’ – – see how it keeps me on course, providing strength and support when most needed. The terrifying subsides…………the excited builds! !